Michael Doyle is Wingara Mura Research Fellow at the University of Sydney. He is an early career Aboriginal researcher in the alcohol and drug field with a particular interest in prisoner health. He has worked in Aboriginal health service provision, policy and research for over 18 years. 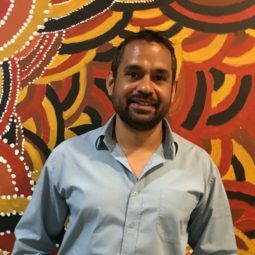 Michael was the first Aboriginal person to graduate with a Master of Public Health from the University of Western Australia and has recently submitted his PhD at UNSW Australia.